Project Brochure Download (pdf 2.2mb) A brief description. 1. to 14. 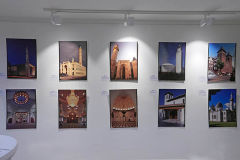 December 2018 - "Mosques of Europe- Islamic Architecture in the Occident" Photo Exhibition & Central Mosque in Cologne / Ehrenfeld. 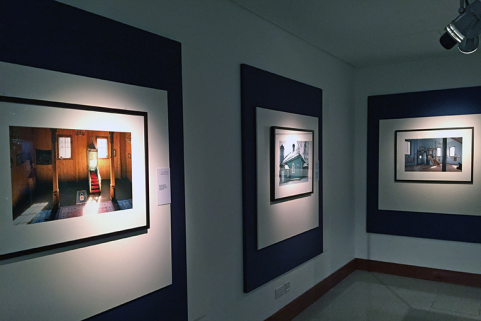 Please note: the photo exhibition discussed below is displayed from 1. to 14. 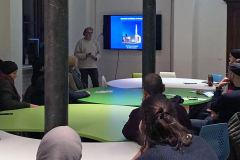 December 2018 in the central mosque in Cologne / Ehrenfeld. 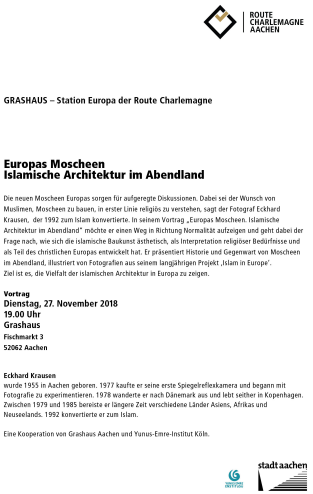 November 28th 2018 - "Mosques of Europe- Islamic Architecture in the Occident" in Cologne & November 27th 2018 in Aachen. 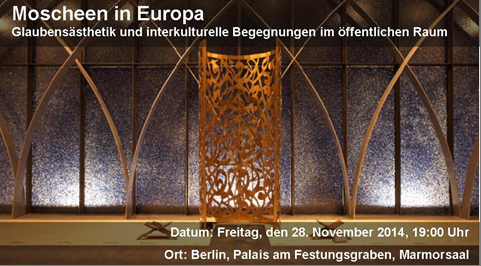 Ahmed Krausen is pleased to announce, in cooperation with the Yunus Emre Institute, his presentation and photo exhibition "Mosques of Europe- Islamic Architecture in the Occident" in Cologne, Germany at November 28th. 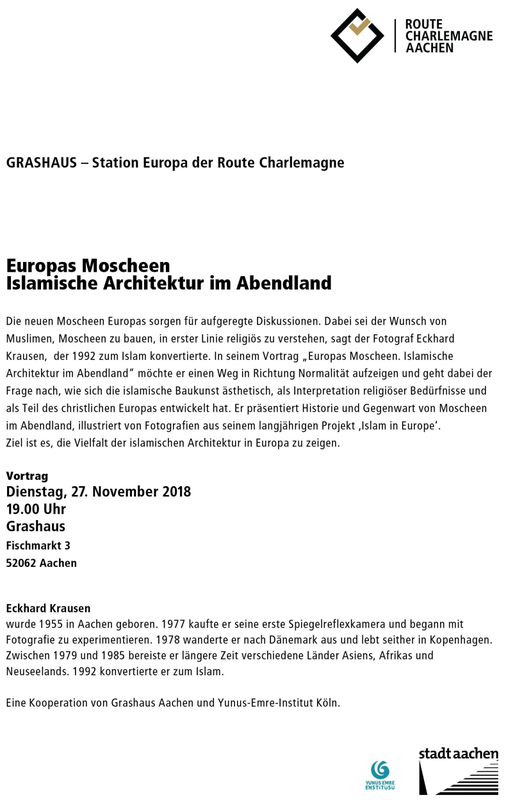 One day before, at November 27th, Ahmed will hold his presentation also in his former home town Aachen, GRASHAUS - Station Europa der Route Charlemange. A few impressions of the events in Cologne and Aachen on 27./28. November 2018. To view large size cover click on the image. 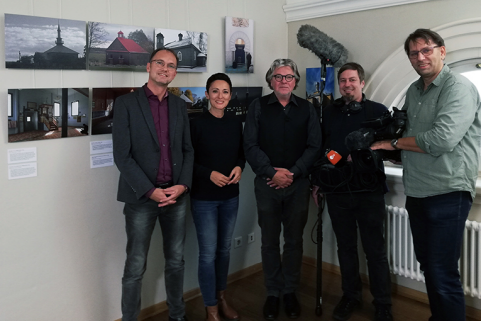 Ahmed Krausen featured in an interview which took place in Erfurt on the ZDF “Forum on Friday” on the subject of his "Small Synagogue" exhibition. ZDF (Zweite Deutsche Fernsehen) is one of the largest public-service television broadcasters in Germany and their weekly programme "Forum on Friday", sceened on a Friday, gives Muslims the opportunity to contribute their special views of living together in Germany in a public forum. 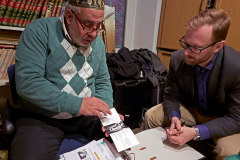 In the interview, in German, Ahmed also talks about his photo project "Islam in Europe" and his path to Islam. Many thanks to Nazan Gökdemir and the ZDF camera crew. 19th-25th June 2018 - Institutionalisation of Islamic Feminism. 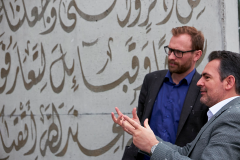 Institutionalisation of Islamic feminism is an extensive and exciting research project by Jesper Petersen, PhD student in the History of Religions at the university in Lund, Sweden. The research project covers Scandinavia, Germany, Britain and North America. Ahmed Krausen accompanied him on his journey through Germany as an interpreter and photographer. 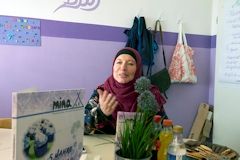 This project deals with how Muslim women establish institutions that gain influence within their communities. No institution exists in a vacuum, and there are often instants where work has been initiated by communities in the process of establishing an outlet for the voice of women in Muslim institutions. An example of this can be seen where organisations and groups re-interpret scripture and discuss theology. 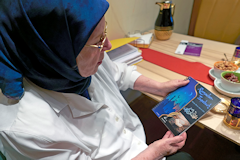 These interviews, based on conversations with female imams and other women influential in their communities, are designed to provide insights into this topic. 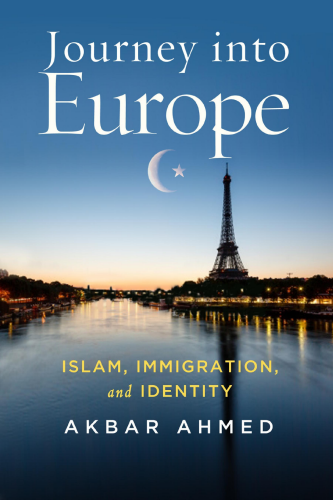 Book Launch April 2018: "Journey into Europe: Islam, Immigration and Identity" by Professor Akbar Ahmed. 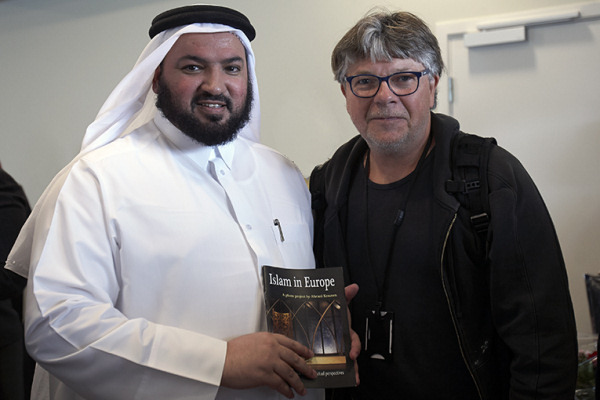 Professor Akbar Ahmed's book describes his journey through Europe with a large number of interviews with European Muslims, including an interview with Ahmed Krausen "A German photographer in Copenhagen". To view full size cover click on the image. Amazon listing. 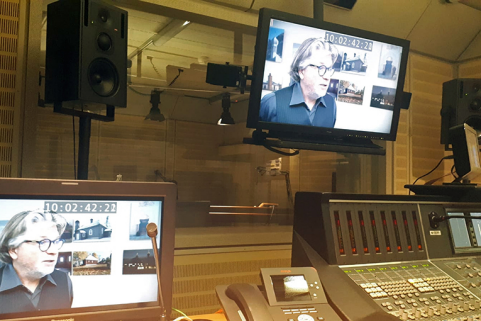 Imams of the West is an extensive and exciting research project by Niels Valdemar Vinding (PhD), University of Copenhagen with a large number of interviews with imams from Europe and North America. Ahmed Krausen accompanied him on his journey through Germany as interpreter and photographer. Inauguration ceremony of the exhibition and preview visit of the exhibition to the privileged partners. In the presence of Miguel Moratinos, former Spanish Minister of Foreign Affairs and promotor of the "Alliance of Civilisations". 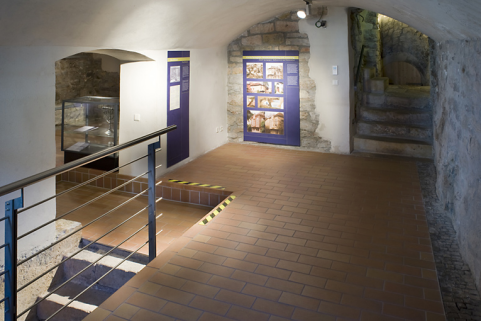 The "little Synagogue" - (Kleine Synagogue) is a former synagogue in the Thuringian state capital Erfurt/Germany. 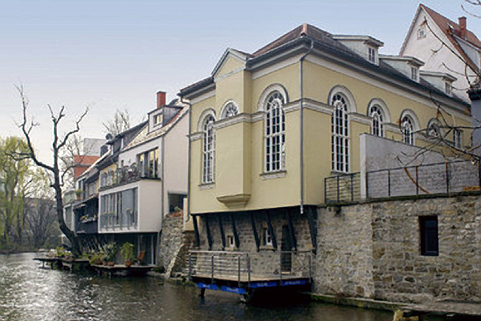 It is located in the old town on the Gera river bank behind the town hall and since 1993 it has been used as a cultural centre. We are currently exploring the possibility of a photo exhibition with my work on the topic "Islam in Europe" for March 2017 or a bit later. 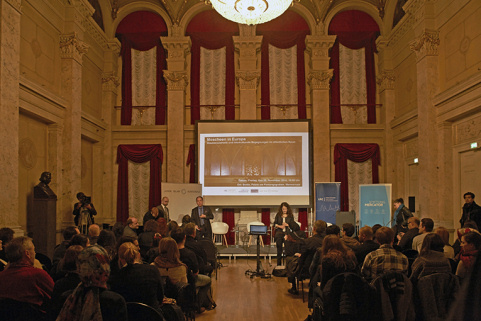 To launch an "Islam in Europe" expo in this venue sends a strong message of the power of inter-faith dialogue. I hope it succeeds. Die "Kleine Synagoge" ist die ehemalige Synagoge in der thüringischen Landeshauptstadt Erfurt. Diese befindet sich in der Altstadt direkt an der Gera hinter dem Rathaus und wird seit 1993 als Kulturzentrum genutzt. 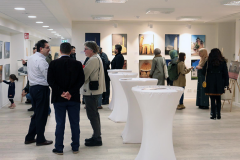 Zurzeit überlegen wir Möglichkeiten für eine Fotoausstellung mit meiner Arbeit zum Thema "Islam in Europa" für März 2017 oder etwas später. 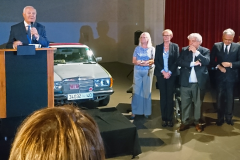 Eine Ausstellung mit diesem Thema an diesem Ort, hat eine starke Signalwirkung für den Dialog zwischen den Glaubensrichtungen. Ich hoffe es klappt. 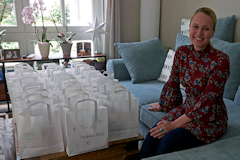 Faith meets Faith is a MUMIN_DOX project focusing on the positive force religion can be both in society and an individual's life. This is a run-up video for a larger project where men and women from different Faiths come together and share their views on life as a believer. Film screening during the photo exhibition in Warsaw, Poland May/ June 2016. MUMIN is a film studio based in Scandinavia, established in 2016. For more about Faith meets faith visit www.mumindox.com. 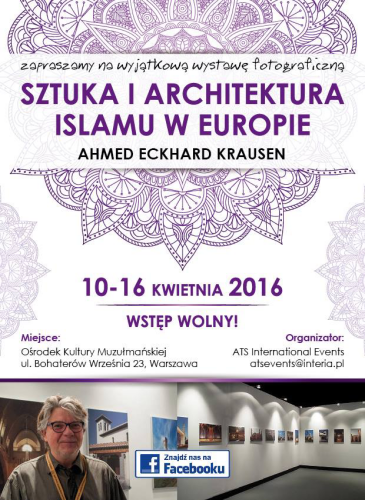 Advance notice of Ahmed's upcoming exhibition in Warsaw, Poland, 10-16 April 2016. Ahmed Krausen has been invited to Rabat by the Conseil de la communauté marocaine à l'étranger to present this photo project. 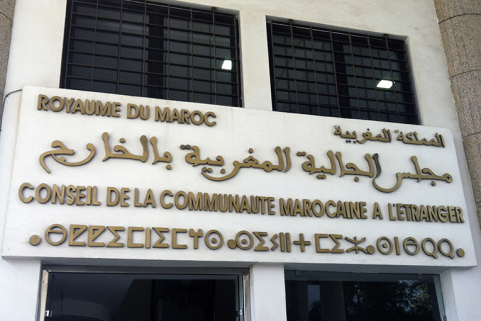 It was a great pleasure to meet the representatives and the Director Mr. Abdellah Boussouf. The CCME is strongly interested in this project. It was discussed details about a travel exhibition through Europe and considered long term cooperation against extremism. 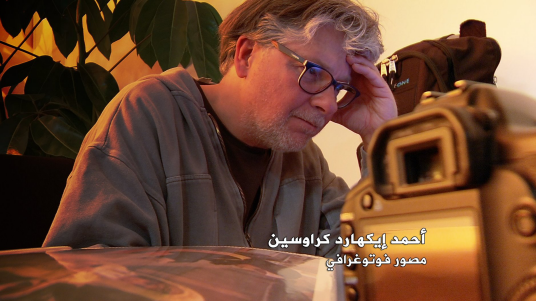 June 25th 2015 - "The Orient In Their Arts"
A Series of Documentary films,written and directed by Mohamed Kenawi.Produced by Domino Film for Al Jazeera Network. 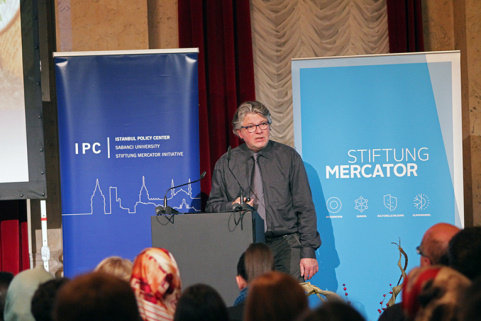 May 23th 2015 - "Islam in Europe" Lecture. 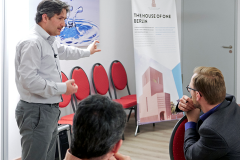 A lecture by Ahmed Krausen on "Islam in Europe" at a meeting of Muslims in northern Germany in Eckernförde / Gut Ludwigsburg, Germany. 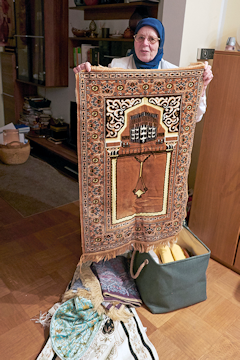 March 24th 2015 - Photographer captures the essence of Islam in Europe. 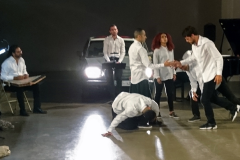 An interview by the British journalist and digital artist Hatiq Mohammed with Ahmed Krausen for the Muslim magazine "Aquila Style", which is based in Singapore. In this interview Ahmed talks about, among other things, the importance of photography for him -the camera has been the most important tool on his spiritual way to Islam- and about the difficulties of being a Muslim artist. Please read here. December 1st 2014 - United Arab Emirates. 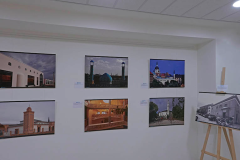 10 photographs of Ahmed Krausen's works are part of the permanent exhibition in the Abu Bakr Faith Gallery of the Sharjah Museum of Islamic Civilization, United Arab Emirates and they make an important educational addition to the displays. Place: Palais am Festungsgraben, Am Festungsgraben 1, 10117 Berlin. Germany. Date November 28th. 2014 7.00 pm. Nilüfer Göle, Professor of Sociology, Ecole des Hautes Etudes en Sciences Sociale, Paris, France. 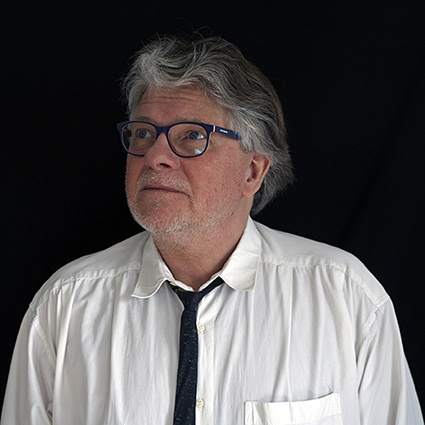 Emre Arolat, architect and partner of Emre Arolat Architect, Istanbul, Turkey: Alen Jasarevic, architect, Augsburg, Germany: Ahmed Krausen, freelance photographer, Copenhagen, Denmark. 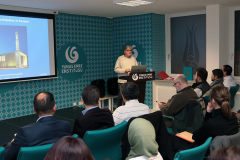 Fuat Keyman, director of the Istanbul Policy Centers, Turkey. For further details in German and Turkish click here. "The Orient In Their Arts" is a film documentary project by Mohamed Kenawi/ Domino Film/Rome, in cooperation with Al-Jazeera TV. Luigi Verzelli, cameraman/Rome and Bey Frasheri assistant/Tirana. 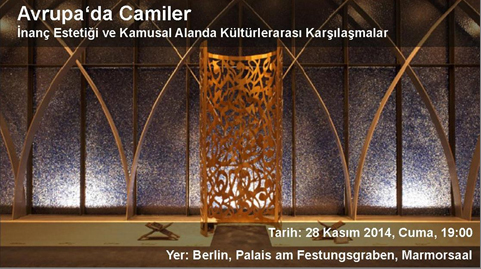 The 15 dedicated European artists, dealing with the Islamic art include Ahmed Krausen. 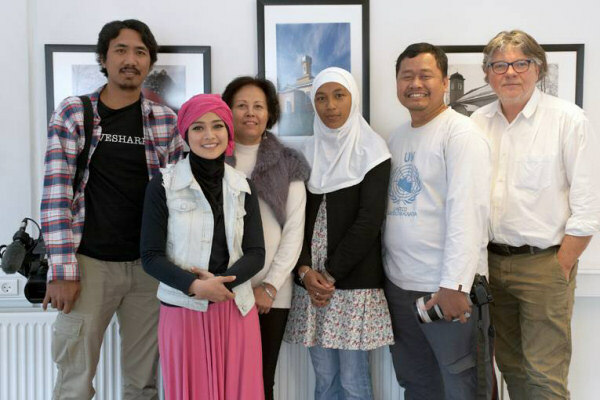 The movie of Trans 7 (Islam Rasa Skandinavia) that was shot in April in Copenhagen was shown in Indonesia on July 4th 2014. A short and constructive meeting with the Minister for Religious Affairs of Qatar HE Dr. Ghaith bin Mubarak Al Kuwari during the official opening of the grand mosque in Copenhagen. 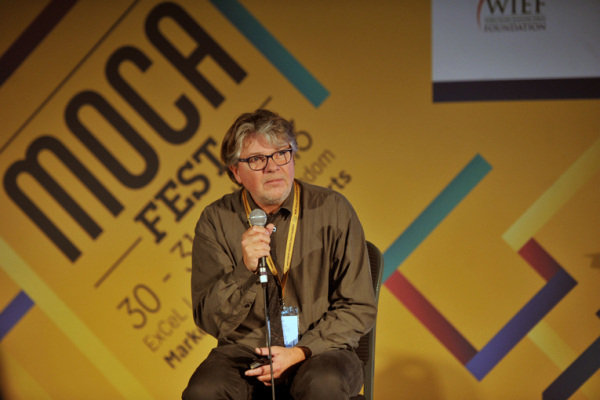 Ahmed Krausen talking about the power of photography in his workshop at the Mocafest (28 - 31 October 2013) in London. 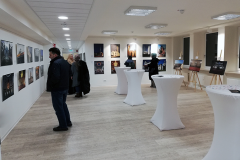 Ahmed Krausen is participating as an exhibiting artist photographer in the MOCAfest, the World Islamic Economic Forum (WIEF) Foundation's arts festival, in London. 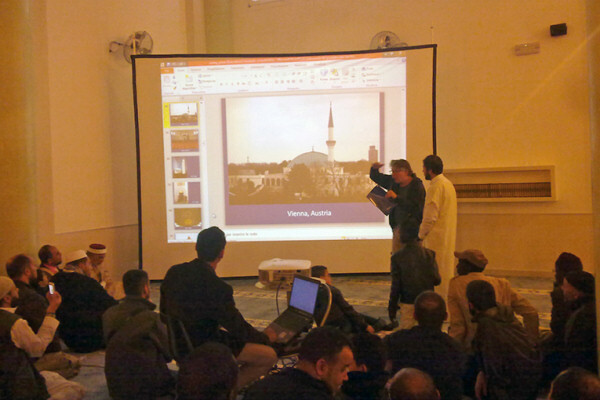 A lecture by Ahmed Krausen on "Islam in Europe" at the official opening of the new mosque in Ravenna, Italy. The 21. May 2013 Ahmed Krausen had a wonderful meeting in Copenhagen with Brother Jörn Ballnus from the Chair for Islamic Religious Education at Osnabrück University, Germany. 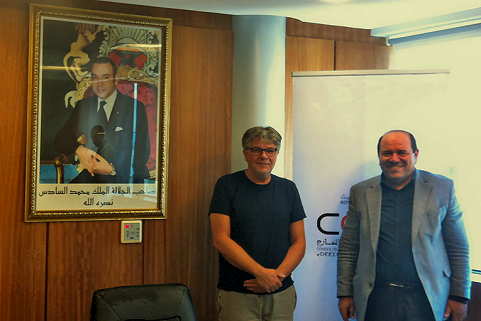 During the meeting we discussed details of my upcoming exhibition in September 2013 about Mosques in Europe at the campus of the university and considered a long-term cooperation. 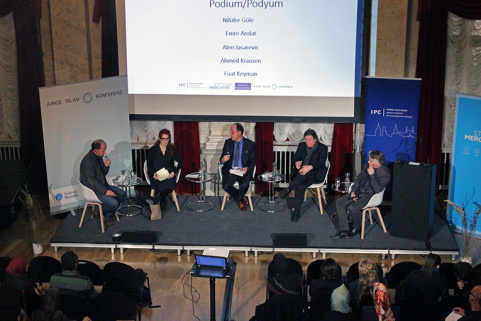 In the context of difficult relations with Islam in Europe and beyond its borders; It is urgent to work to learn to understand each other and the foundations of their civilisations. Fear feeds on ignorance, knowledge allows a meeting of minds. 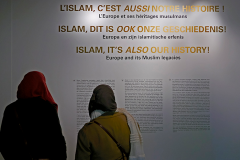 The "Islam it's Also Our History" project looks at the links between two civilizations, Islam and Europe. Its content is complex, its goal is simple: show Europeans that fourteen centuries of Islam is also their history. 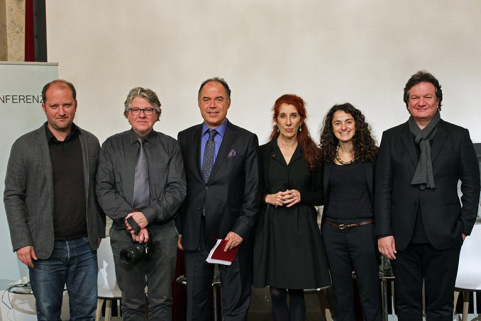 In pursuit of this goal, Tempora is formed by partners from eight European countries pooling their knowledge, expertise and experience to create a wide range of activities including the pivotal exhibition. 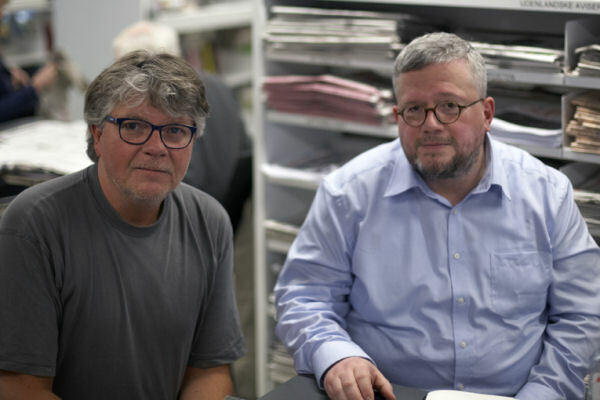 One of these, L'association CULTURES, based in Copenhagen will provide the work of Danish photographer Eckhard Ahmed Krausen, leading several years of work on Muslims in Europe. 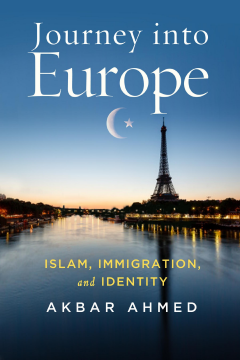 It features an exceptional photographic documentation of islam in Europe including (60 mosques contemporary architecture and 250 historical photographs in conjuction with the University of Havard) and 300 portraits of Muslims living in Germany, Netherlands, France, Italy, Lithuania, Poland, Belarus, Austria, Switzerland, Denmark, Sweden and Spain. 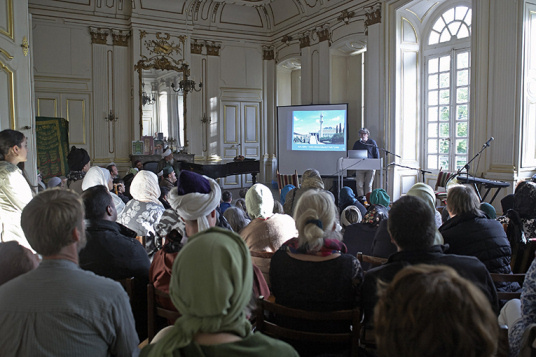 The goal of this project is to show the diversity of Muslims in Europe and how islam is interpreted in the public space. The project, affiliated with the "Pluralism" project of University of Havard. To view the French language Exhibition booklet (7.8mb) please which includes a number of photographs from my collection please click here. 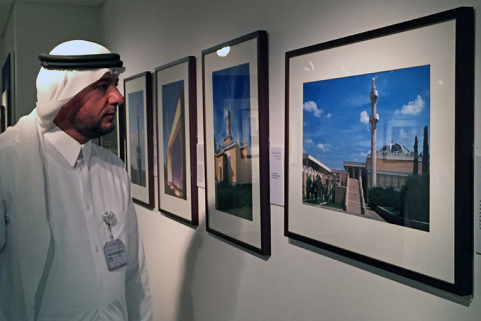 October 2012: Ahmed Krausen is now associate partner of the exhibition project "Islam it's also our history"
"Capture the Spirit of Ramadan" International Photography Competition. © by Ahmed Krausen. All rights reserved. For legal information please click here. Material on this site may not be published, broadcast, retouched or redistributed in any form. Responsive site design by FrogWrite Creations P.O. Box 27, Eketahuna 4940, New Zealand, with thanks to Dynamicdrive.com for the lightbox script which is provided free of charge.